For hundreds of years, Sikhs in India have offered chabeel to the general public on hot days, between the months of May and June. 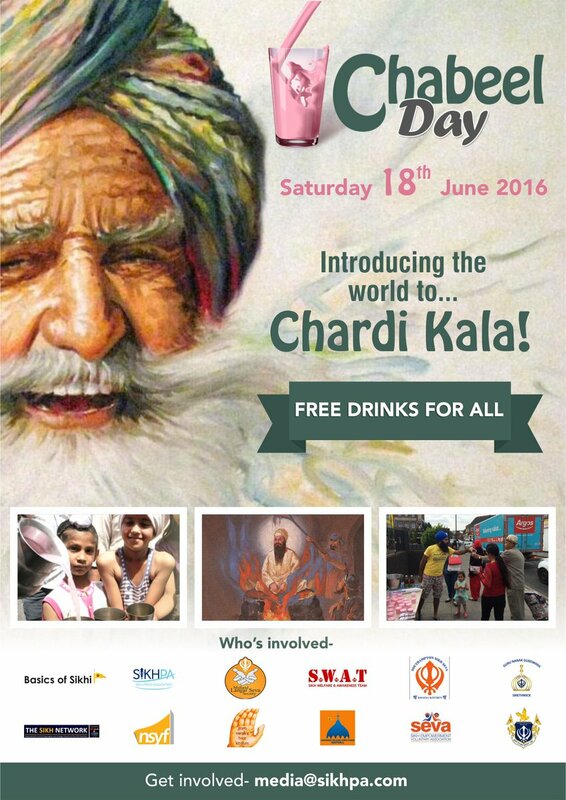 The first ever Chabeel Day is going to be celebrated on June 18th.Chabeel Day is an adaptation of last year’s ‘Chabeel Week’ held by Sikhs across the world. Chabeel’ is a Punjabi word referring to a sweet, cool, and a non-alcoholic drink. This refreshing drink is served to the public to pass on the message that one should be eternally optimistic. Chabeel day is celebrated to remember the martyrdom of the fifth Sikh Guru, Guru Arjun Dev Ji. Guru Arjan Dev Ji, became the first Sikh martyr in 1606 after he refused to alter the Sikh scriptures as ordered by the tyrannical Mughal Emperor Jahangir, in an effort to curtail the Guru’s growing influence in India. When Guru Arjan Dev Ji refused, he was tortured by being made to sit on a red hot plate, whilst hot sand was poured over him. He asked the Sikhs to accept God’s will as sweet instead remembering this event through mourning. Therefore, Sikhs changed negativity into positivity by turning an attack upon them into a chance to serve others. Sikhs honor the Guru’s burning by cooling everyone else. This is Chardi Kala. Chardi Kala translates to ‘ever-rising spirits.’ It dictates that one should be eternally optimistic as a sign of their contentment with the will of God, even during the times of adversity. This summer, when people will be feeling a little hot and tired, Sikhs will be there to spread positive energy. I really liked the motive of this day, ‘to be optimistic eternally.’ This is a very good initiative, and knowing that it is celebrated by Sikhs all over the world is even more delightful. I’d really like to have Chabeel one day or the other!